includes multiple varieties of folk, popular, pop, classical music and R&B. India's classical music tradition, including Carnatic and Hindustani music, has a history spanning millennia and developed over several eras. It remains fundamental to the lives of Indians today as sources of spiritual inspiration, cultural expression and pure entertainment. India is made up of several dozen ethnic groups, speaking their own languages and dialects, having distinct cultural traditions. 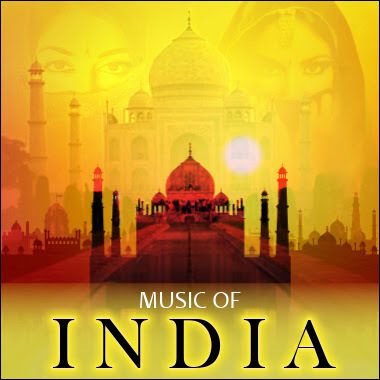 Hindustani music, found in the northern and central regions. (Sanskrit: Karnāṭaka saṃgīta) is a system of music commonly associated with the southern part of the Indian subcontinent, with its area roughly confined to four modern states of India: Andhra Pradesh, Karnataka, Kerala, and Tamil Nadu. It is one of two main sub-genres of Indian classical music that evolved from ancient Hindu traditions; the other sub-genre being Hindustani music, which emerged as a distinct form because of Persian and Islamic influences in North India. In contrast to Hindustani music, the main emphasis in Carnatic music is on vocal music; most compositions are written to be sung, and even when played on instruments, they are meant to be performed in gāyaki (singing) style. (Hindi: हिन्दुस्तानी शास्त्रीय संगीत्, Urdu: کلاسیکی موسیقی) is the Hindustani or North Indian style of Indian classical music found throughout the northern Indian subcontinent. 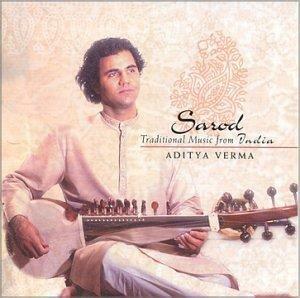 The style is sometimes called North Indian classical music or Shāstriya Sangeet. It is a tradition that originated in Vedic ritual chants and has been evolving since the 12th century CE, primarily in what is now North India and Pakistan, and to some extent in Bangladesh, Nepal and Afghanistan. Today, it is one of the two subgenres of Indian classical music, the other being Carnatic music, the classical tradition of South India. includes multiple varieties of folk, popular, pop, classical music and R&B. India's classical music tradition, including Carnatic and Hindustani music, has a history spanning millennia and, developed over several eras, it remains fundamental to the lives of Indians today as sources of spiritual inspiration, cultural expression and pure entertainment. India is made up of several dozen ethnic groups, speaking their own languages and dialects, having very distinct cultural traditions.
. by Narayanan Raghunathan .
. Music and Haiku . The great god Shiva once chanced upon his wife Parvati reposing most gracefully. Her breathing was like soft music; the exquisite bosom rising and falling in rhythm. Her arms and wrists laden with bangles caused music by their motion. Shiva was intoxicated by this ravishing vision, and watched her for a long time in silence. Such was the impression created in his mind that he found no peace until he discovered a way of making a permanent record of the beauty observed. 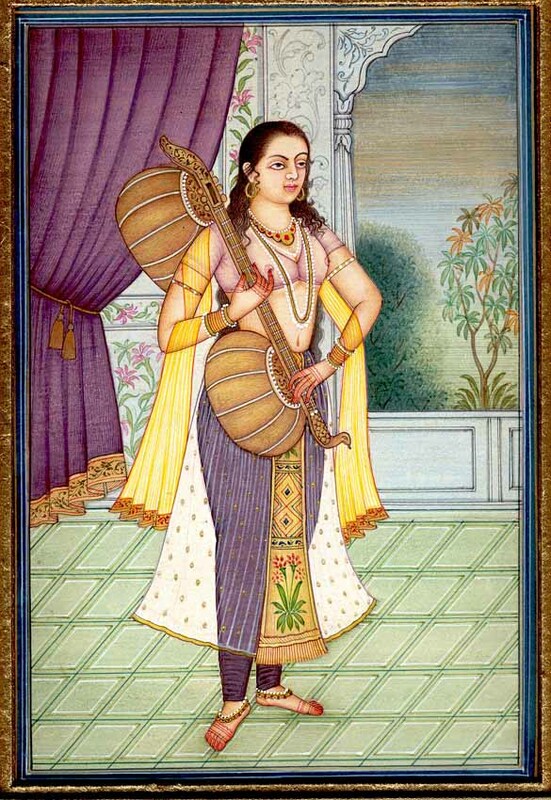 The result was the veena (vina), a musical instrument, whose long neck represents the straight lithe form of Parvati, and the two supporting gourds her breasts, the metal frets her bracelets, and the most expressive of all, the sound generated by this instrument is said to recreate Parvati's own, rhythmic breathing. The Apsaras are female spirits of nature. They are considered very talented artistically, and all of them are described as being very beautiful. Apsaras love to dance, make music performe for gods. While serving as inspiration for lovers, they were often sent by Ravana to tempt rishis or Brahmans who were retreating into the forest. Malkauns is a romantic night raag. Tabla - More in the WIKIPEDIA ! Indian music has very complex rhythmic calculations. night air . . .
long night . . .
baithaks are house concerts where people sit on the floor in an informal fashion. on my window sill. . .
the Guru gives . 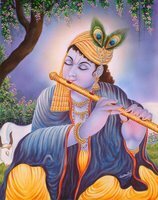 . .
Sishya means student and Guru means teacher.
. Kala Ramesh - a musician and haiku poet . Sitar - More in the WIKIPEDIA ! Malhar is associated with the atmosphere of torrential rains. According to the legend, Malhar is so powerful that when sung, rain falls from the sky. There are many written accounts of Raga Malhar. Many great artists of medieval period and much earlier period used to sing this raga. Tansen, Baiju Bawra, Baba Ramdas, Nayak Charju, Miyan Bakhshu, Tantarang, Tanras Khan, Bilas Khan (son of Tansen), Hammer Sen, Surat Sen, and Meera are among the singers who are said to have been capable of starting rains using various kinds of Raga Malhar. ***** . 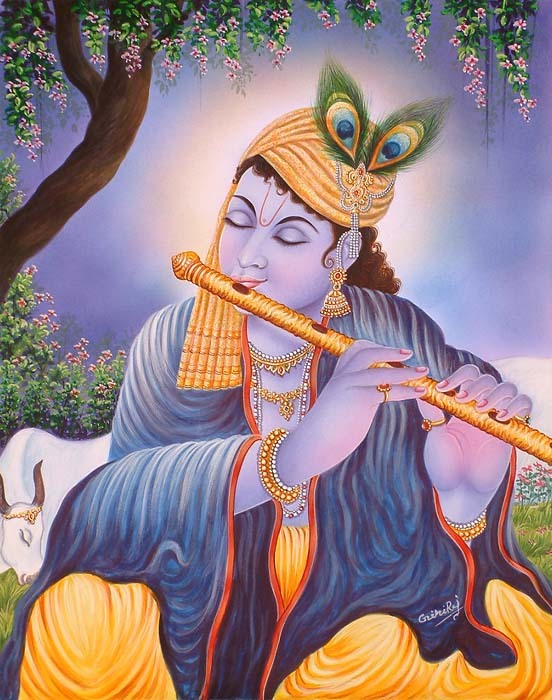 Bhajan Hindu Music . ***** . Garhwali songs . ***** . Raga Chandar Kauns, chandarkauns . ***** . Raga Kalyani, raga kalyaan . ***** . Damaru drum, damru . ***** . Tambura, tanbura lute . A very famous Hindusthaani Raaga. ~~~~ Daagars ~ A great traditional family of Dhrupad Music Exponents.